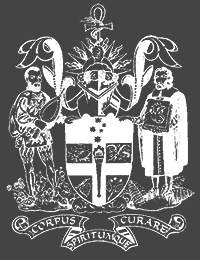 Thirty years ago I made a trip to the Royal Australasian College of Surgeons in Spring Street, Melbourne with Dr Rod Westhorpe. At the time I was an anaesthetic registrar at the Royal Children’s Hospital in Melbourne, approaching my final exams and the end of my training, and Rod was the Deputy Director of the Anaesthetic Department there. There were many of us on that guided tour that day, visiting a dusty collection of boxes in the attic. Most were unimpressed or mildly entertained; I was captivated. 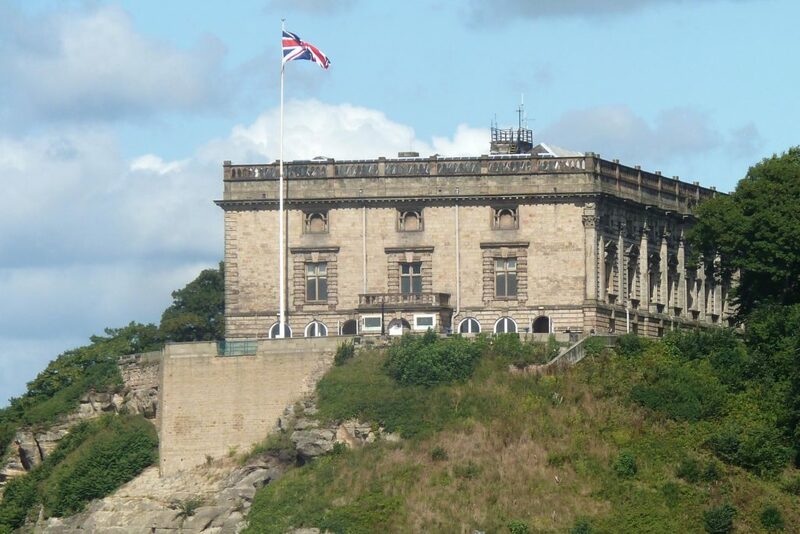 Born in the UK, I grew up in the shadow of Nottingham Castle; my childhood memories are filled with images of Robin Hood, Sherwood Forest, big stone ramparts and dark, gloomy dungeons. Something about this attic room transported me back to my past and a love of history I had forgotten in the years of intense study. Within three years I had been appointed as an honorary curator to the Geoffrey Kaye Museum and have been there ever since. It was only recently, when someone commented on my commitment as a volunteer, that I considered what this role meant. What is an honorary curator? What do they do? The world is full of volunteers; without them nothing would work – people who give their time, knowledge and passion to something without monetary rewards. But all who volunteer know that it is not purely altruistic. For me, my honorary role at the museum is a privilege. Throughout the years I have met many people, made many friends, learnt so many things above and beyond my immediate specialty, enhanced my own life and, hopefully, along the way, returned something to the organisation. Honorary positions are generally given to those with expert knowledge who can assist the professional employees responsible for the running of an organisation. They are a privilege – any title implies status, a reason for the appointment. The title of honorary therefore carries a commitment – from the person themselves and the organisation which appoints them. At the Geoffrey Kaye Museum of Anaesthetic History, the role of honorary curator has evolved. When Rod Westhorpe held the title, and I was the Honorary Assistant Curator, the job was quite consuming. We had little knowledge, few resources, little organisational support – but a phenomenal collection in need of much care and attention. Many organisations have collections like this. Many collections are only resurrected and maintained due to the enthusiasm of volunteers. The first step in this process is to persuade the responsible organisation to appoint an honorary curator. Once they have bestowed the title, they have made a declaration of support. Often the appointment of an honorary to any position is the beginning of a journey, a defining moment. And so it was with our collection. Once we had honorary titles, we had representation – we had a voice, the collection existed as an entity which could not be ignored. We could propose actions to the College Council, we could reach out to the wider organisation for support. It was a tortuous path for many years but ultimately with perseverance, the passage of time, a gradual increase in funding and support from the College Council and CEO, we have reached the place we are in now. 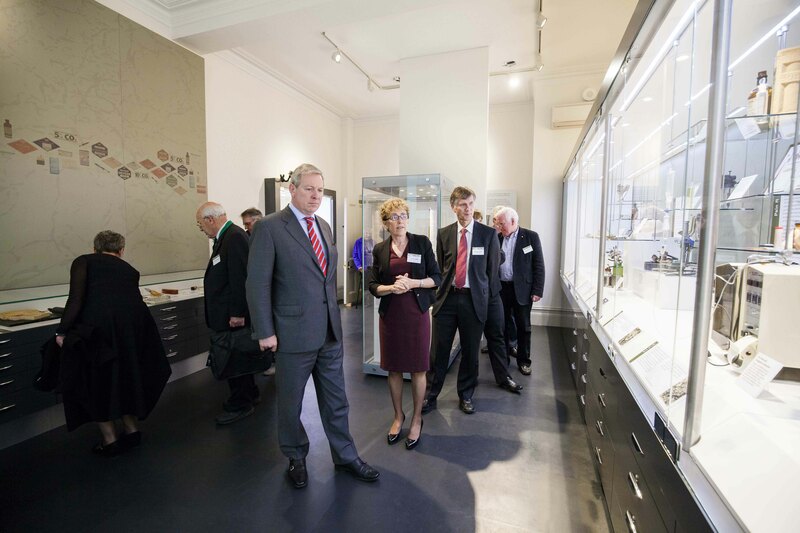 We have an accredited museum which is valued by the organisation and is a place of learning, not just for anaesthetists but for museum professionals, archivists and librarians. In the early years my job was, as stated in my title, “Assistant Honorary Curator”, and assist was what I did best. Rod fought the battles, carried through on the vision to appoint a professional curator, purchase proper cabinets, establish an accessible catalogue and conduct an inventory. Being an honorary curator was a tough job then. Even adjusting to working with a professional curator was tricky. We were so used to working alone with autonomy, it was difficult to make the transition to having a staffed department, understanding what our roles now were and how they were evolving. Rod retired some years ago and since then the role of honorary curator has changed again. We have an expertly managed museum, we have accreditation, we have other volunteers to work on the catalogues and research our precious objects. I have no battles to fight now – I provide moral support, I present and publish both nationally and internationally and keep the profile of the museum alive. I see that now as my honorary role – to be a representative of the museum and the wider organisation, to present a face to the world. The other important role of an honorary curator is that of content specialist. 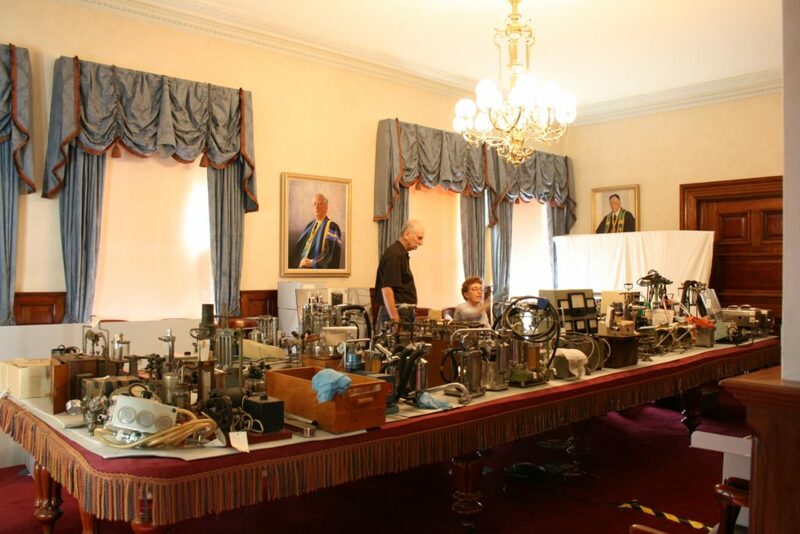 Over the thirty years I have been wandering through the collection, I have acquired some expertise and knowledge about the history of anaesthesia and I know many of the objects in the collection personally, although there is still much to learn. I also have a clinical knowledge of anaesthesia, and a broader knowledge of the history and practice of medicine. All of this gives context to the collection and our displays. Without this expert information, the professional museum staff would be working in a vacuum. So, in summary, an honorary curator is many things: an advocate, a representative, a content expert, a volunteer or, on occasions, simply a pair of hands. An honorary title is one that brings responsibility but many rewards. The conferring of an honorary title may be the beginning of a journey, one which may culminate in the creation of something which takes on a life of its own, becoming far greater and more wonderful than you ever anticipated.